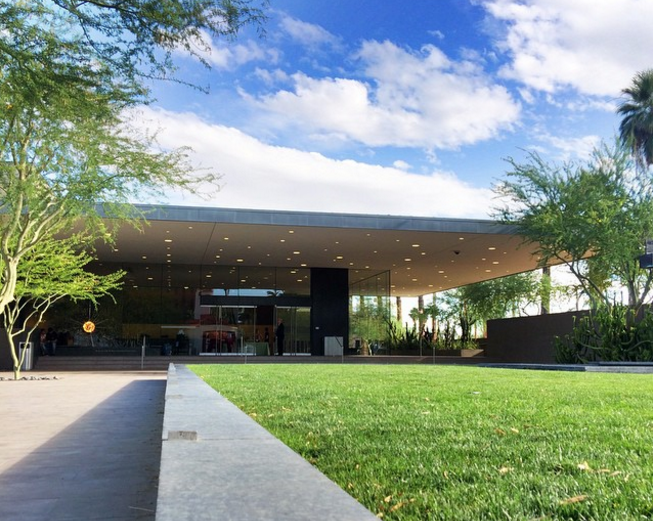 Downtown Living: Four Things We Love About artHAUS - Downtown Phoenix Inc. 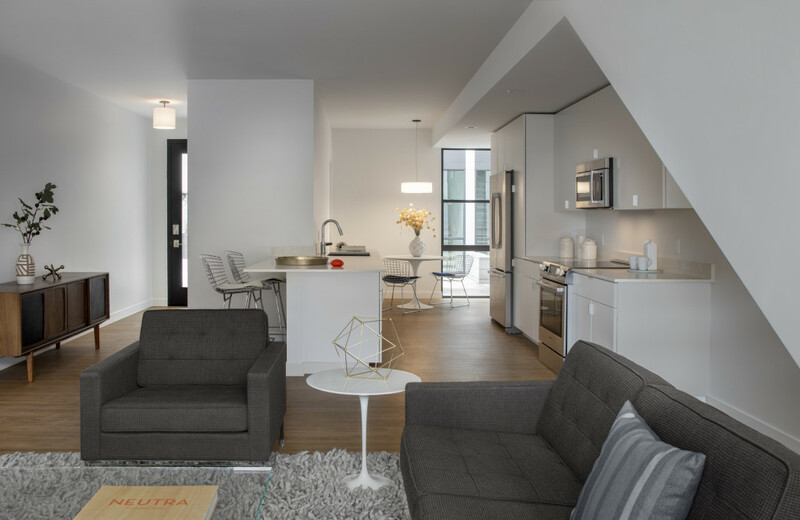 Located in the heart of the midtown’s Central Arts District, artHAUS is a residential development of 25 beautifully designed dwellings that offer an urban lifestyle at the intersection of transit, art and architecture. Although it’s just steps away from the hustle and bustle of Central Avenue and McDowell Road, you won’t see artHAUS from the street; it’s tucked away in a quiet pocket, nestled between the Willo Historic District and the Arizona Opera building. Between the floor-to-ceiling windows and the flow of open-plan living spaces, artHAUS is stunning. Architect-turned-developer Jason Boyer designed the dwellings to let in plenty of natural light giving the space an open and airy feel. 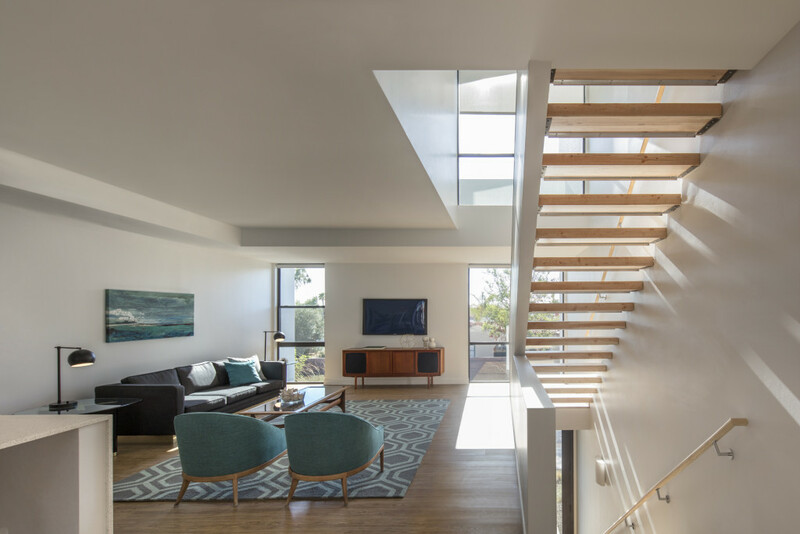 Even the floating staircases allow for light to penetrate the space. Natural wood finishes on the floor, steps and railing also add a touch of warmth to the space. ArtHAUS totally makes our inner architectural photographer drool. We love the bold modern lines that frame not only the exterior of the dwellings, but also the interior. This is especially pronounced in the living spaces in which the structure of the staircase creates a dramatic and eye-catching angular line. Sunlight that pours through the windows, washing onto the walls also creates stunning — and photo worthy — shadows. 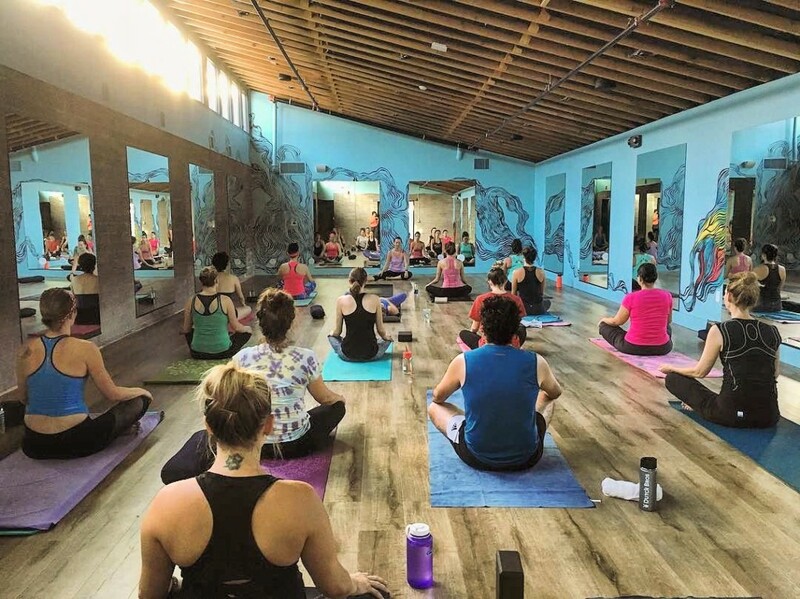 While a number of developments in the greater downtown area are fully-amenitized with pools and workout centers, artHAUS chose an alternative model that encourages residents to get out and experience their community. By reaching out to local businesses, artHAUS was able to create a partnership agreement of cultural and lifestyle amenities for its residents. This gets residents discounts and special perks at places like Sutra Studios, Phoenix Art Museum, Central Park Square Athletic Club, and Clarendon Hotel & Spa (hellooo, pool day!). Living at artHAUS gives residents the amenities and convenience of the kind of urban lifestyle we love. Walk out your door and you’re mere steps away from Phoenix Art Museum, Arizona Opera, Central Arts Plaza and Phoenix Theater. Jump on the light rail — also steps away — and you’ve got instant access to the arts, culture, dining and entertainment between the Downtown Core all the way to Uptown Plaza and beyond. artHAUS is 40 percent sold, and the remaining units at artHAUS are priced between $254,000 and $511,000. The sales center is open Wednesday-Friday 12-6 p.m. and Saturday-Sunday 11 a.m.-4 p.m. or by appointment. To learn more about artHAUS, visit www.arthausphx.com.